Technopolis it is an excellent example of enhancement and reuse of old industrial plants. 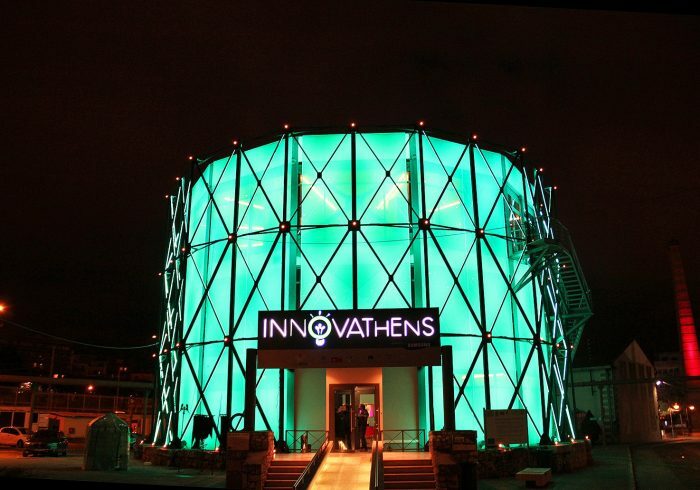 Technopolis is an important museum and cultural center in the heart of Athens, located in an area of 30,000 square meters, home of the gasometers used in the past for the lighting of the city, preserved by the Ministry of Culture and the Municipality of Athens. The Greek company Kariotis Audio & Lighting has supplied and installed an LED lighting system (totally made up of DTS products) for two of the gasometers. 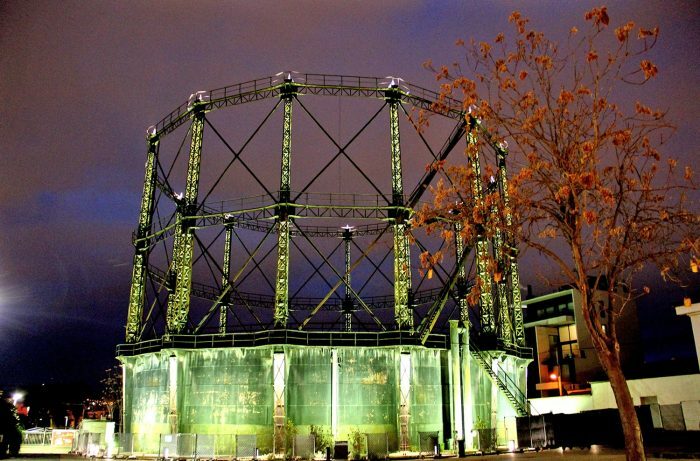 Thanks to the restructuring and to a colorful make up, the two gasworks gained a central visibility in the complex of Technopolis. 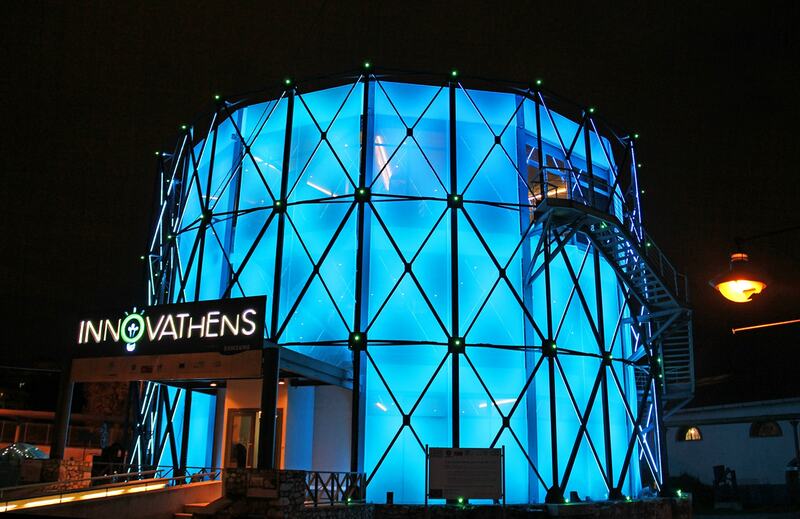 The design and lighting study were made by George Tellos, while wiring diagrams, distribution panels and mounting systems of the projectors were created by Kariotis. 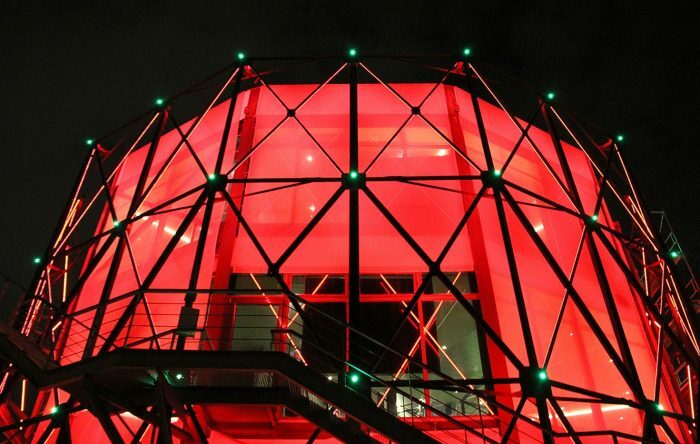 The projectors supplied by DTS have an IP65 protection rating for outdoor use, and have been customized according to the needs of the project.